Why Developer web hosting ASP.Net Hosting from Paradigm Solutions? Developer web Hosting starts from 8.25pm, Uncapped Bandwidth, Unlimited Email Account, Unlimited MSSQL Hosting. 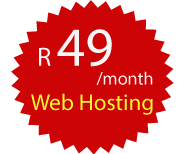 ASP.Net Hosting, ASP.net 4.5 hosting in South Africa. Our 24/7 support always online to help you. ** Our developer hosting server are hosted locally. Above stats are for our standard servers, they might deviate from the above depending on the current technology.Disk over usage is charged at R1/MBBandiwdth over usage is charged at R25/GB & is billed to the nearest GB. ** Our developer hosting server are hosted locally. Above stats are for our standard servers, they might deviate from the above depending on the current technology.